Welcome back to school! We celebrated the culmination of our Human Body unit before Spring Break by visiting Sci-Quest Science Museum. Thanks to all the parents for driving their children, other children, and the teachers on this trip. We started our new unit on the Solar System right before Spring Break. Our students are busy bees drawing, painting, and coloring the planets. 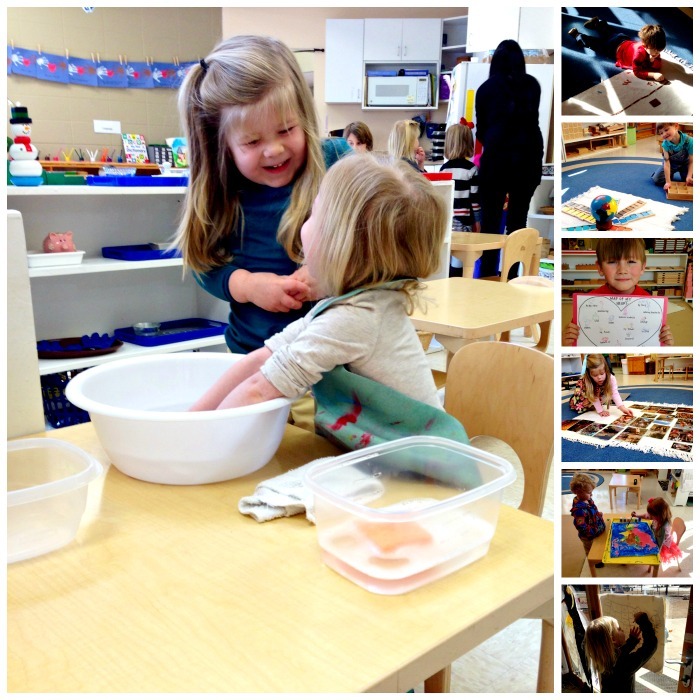 Along with this unit work, the children are busy with new spring practical life, sensorial, math, and reading work. We are learning the days of the week and practicing small commands in sign language and learning how to tell time. The kindergarten children started putting their thoughts together and writing and illustrating stories. It is so wonderful to see them read to the younger children. This inspires the other children to read and write stories, also. The kindergarten students also started using daily contracts. These contracts help them to manage their time and to finish their work in a day. All of them have been very responsible. The Multicultural Festival is around the corner. We are learning about Africa. We started the study by looking at African flags and maps. Soon we will be making African masks and will turn our classroom into an African jungle. Spring is finally here. A special thanks to Russell Berger for preparing our garden for spring planting. We have already planted carrots and peas in our garden. Maria Montessori said, “Children are like rose buds. With proper care and a prepared environment a rose bud will slowly turn into a beautiful flower.” Children are the same way in that in a caring and prepared environment, they will turn into a loving, caring, responsible and productive individuals. We celebrated the first day of Spring yesterday with beautiful weather, which has meant a lot of outside time this week. We have been quite busy in the classroom this month. 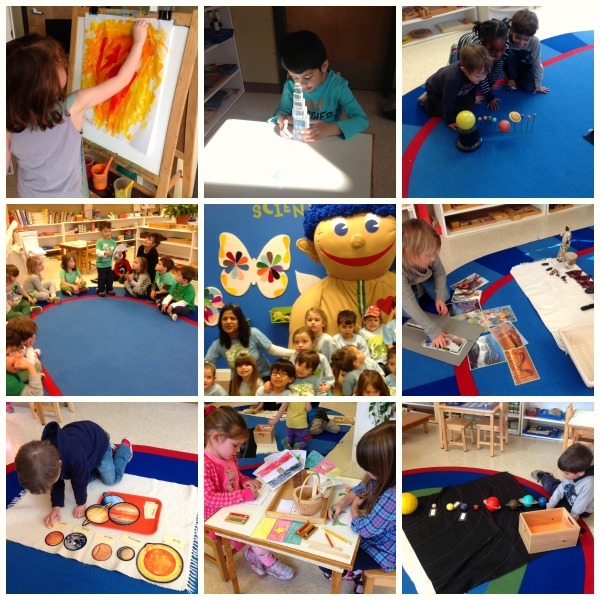 In addition to our regular work in Practical Life, Sensorial, Math, and Language, we began our unit on the Human Body. We started with the circulatory system and learned all about the components of blood. Ask your child about the jobs of red and white blood cells, as well as platelets. The students amaze us with their level of comprehension! We also learned about the digestive system, which has led to some really great conversations about nutrition and healthy choices. We are also preparing for the Multicultural Festival (April 5th) by turning our classroom into chilly Antarctica. We hope your Spring Break is relaxing and provides time with your family. Monica and I will be heading to Dallas, Texas to attend the American Montessori Society Conference with several other teachers from MSH. 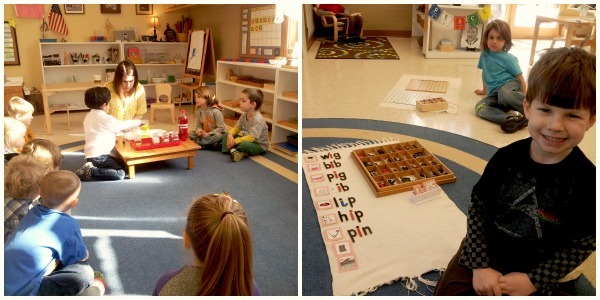 This is an incredible opportunity to surround ourselves with a dynamic community of fellow Montessorians. Thank you so much to everyone who helped and supported the fundraising efforts to make this possible. We know we will learn so much and are excited to come back with fresh ideas for the school and your children. As always, thank you for your support each day. In addition to our work in Practical Life, Sensorial, Math, and Language, February has proven to be a month for celebration, sharing, and kindness in our classroom. Among celebrating the birthdays of several friends, we had a merry time preparing for our Valentine exchange. Luckily, the three snow days did not interrupt our chance to take turns sharing and giving with each other. We have set up a “Love and Kindness” jar on our peace shelf in which we are able to actually see the love grow in our classroom. In addition to being a visual representation, the jar encourages spontaneous acts of love and kindness. We are thrilled to see how much the children love and care for one another. Ask your children to explain to you how it works! The remainder of this month we will continue our study of the continent of Asia. Some of the children have created beautiful maps of Asia and are extremely proud of their work. Please find a moment to admire their effort as it will only take a moment to realize the amount of focus and determination put into each one. We are enjoying the books of Leo Lionni and discussing presidents of the United States as well. *Due to the snow days we have rescheduled our Kindergarten Move Up Day to the Elementary classroom to take place on Monday, the 24th of February. 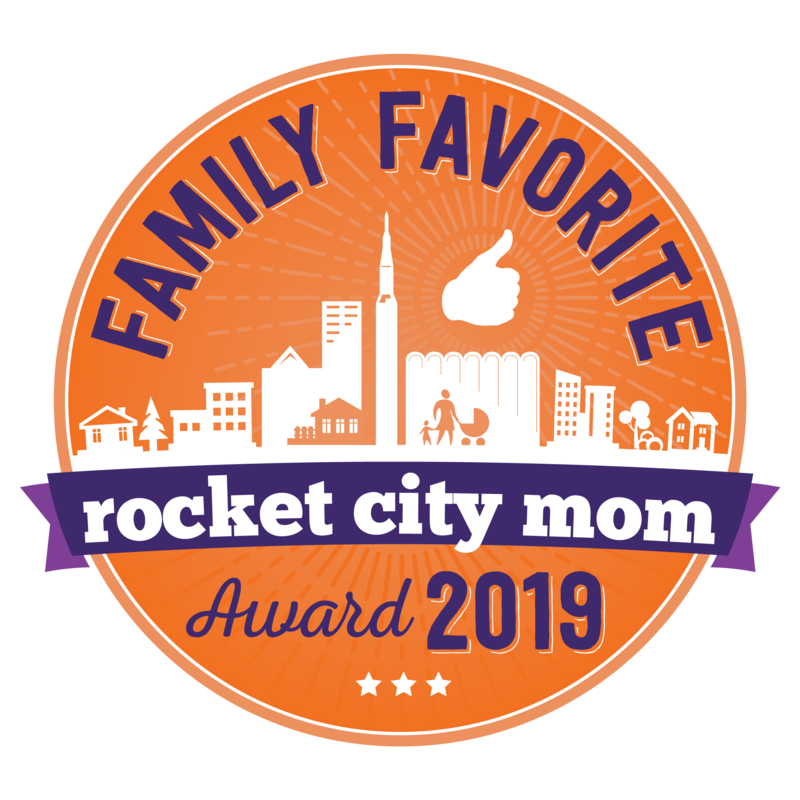 **Even if you cannot make it to the March book club featuring the book, Simplicity Parenting, please consider reading this phenomenal book. The ideas in this book truly supplement what we try to do each day in the Montessori classroom and we believe it to be such a valuable resource. This month our Toddler 1 class will be busy studying the Earth, its different continents, and the cultures of the people who live far away from us. We kicked off our multicultural studies with St. Patrick’s Day by talking about how the holiday is celebrated in Ireland, which is a country in Europe. 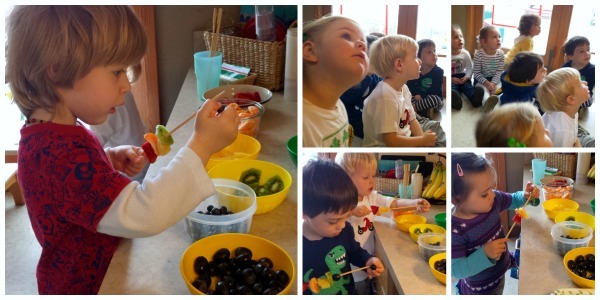 In honor of the holiday we made Rainbow Fruit Skewers for snack. The continent we will be focusing on for the annual Multicultural Festival is Australia. If you or someone you know has anything from or about the continent of Australia please let us know. We would love for you to share it with our class. Planting our garden will also be a big focus in our classroom this month. Last month we learned that our Earth is made up of water, land, and air. Now we will begin putting that knowledge into practice by watching how the land, water, and the air will help our plants to grow. A BIG thank you to all of the parents who helped during the family work days to prepare our garden. Without all of your work, enjoying our garden would not be possible. As always thank you for sharing your children with us. Please do not hesitate to ask if you have any questions or concerns. I can’t believe that Spring Break is almost upon us! We’re still very busy preparing for the Multicultural Festival. If you have anything from or about Europe that you would like to share with the class, that would be great! Our science/geography studies have also expanded to include biomes. We’ve been discussing the interdependent relationships in biomes and the different types of biomes found all over the world. Also, a teacher from Sci-Quest is now coming twice a month to conduct science experiments with the children. Yesterday was the first class, and I’m sure that all of the children came home talking about dry ice! Last, but not least, we have two field trips planned for April. On the 10th we will be visiting Burritt on the Mountain. We will be learning about life in Alabama during the 1800s, and the settlers who moved here from Georgia as they searched for gold. At the end of April (date to be announced) will are planning to attend Panoply School Days. So, be on the look out for more information and permission slips!